Seat restraints aren’t just for humans. If you want to insure that everyone in your vehicle stays as safe as possible while traveling in the car, you need to buckle up your dog too! Aside from it being the law, most of us would never consider letting our kids ride around loose in the car without being properly restrained. So why is it then, that we’re so comfortable with having a dog ride loose in the back seat of our car? 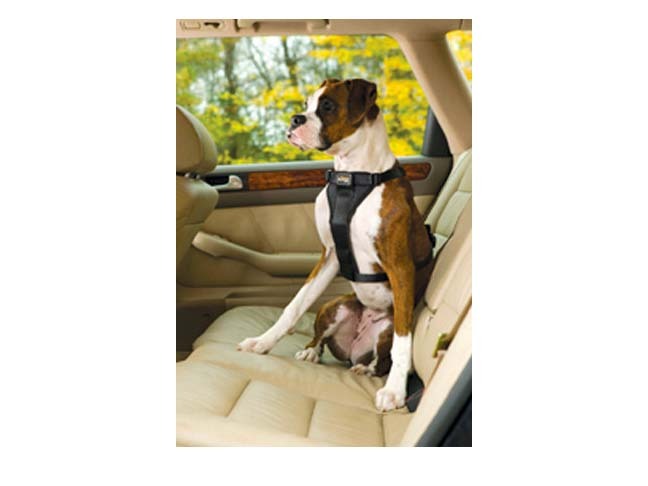 If you want to ensure that you’ve done everything you can to keep all your passengers safe from injury while riding in the car, consider choosing a dog seat restraint system too. Aside from endangering your pet’s own physical safety, a wandering pet can provide a serious distraction for a car’s driver and endanger other passengers in the vehicle too. Consider that a 10 pound dog riding in a car traveling 50 mph, will fly forward with an effective weight of over 800 pounds in the case of an accident! As of this time, at least 5 States have already mandated laws requiring pets to be restrained while riding inside vehicles, so the safety issues regarding the need for pet restraints are gaining wider recognition. So if we’ve piqued your interest on the importance of this topic, here are a couple of pet restraint systems for you to consider. This Kurgo TruFit Smart Harness scored rave reviews from consumers who have purchased it. It’s broad, padded chest vest provides added comfort and it can be used separately as a walking harness too. It comes in a wide variety of sizes and a “girth chart” will help you determine the best fit possible. 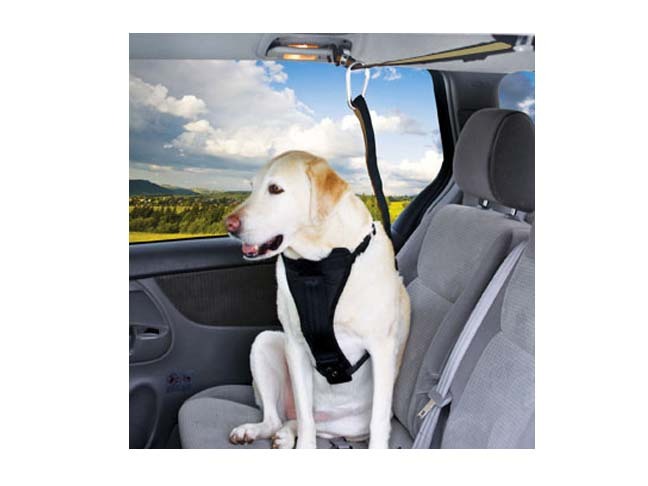 This Zipline Style Dog Restraint system can be used in the car or it can also be adapted to be used in a truck bed as a restraint system. 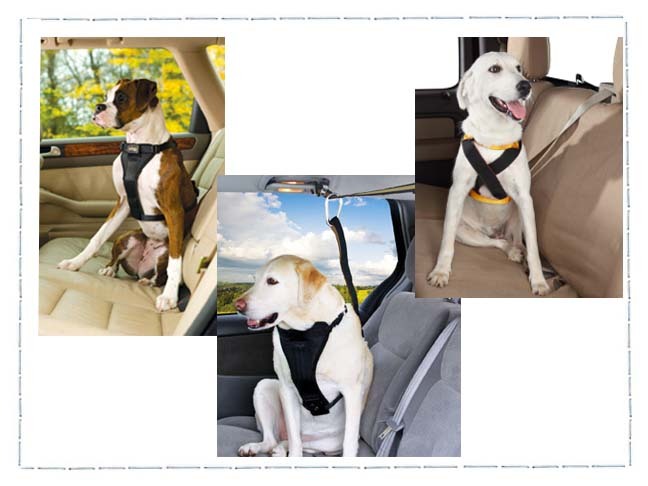 In a conventional vehicle, it’s nylon web tether can be installed between the rear passenger seat belt tabs (depending on the make and model of your vehicle) across the ceiling of your vehicle, which will allow your dog some limited mobility, but will still keep them confined to within the seat area. With it’s simple over-the-head or step-through design, the Ruff Rider Roadie Dog Harness is a snap to put on your dog, plus it’s comfortable enough to be left on all day. 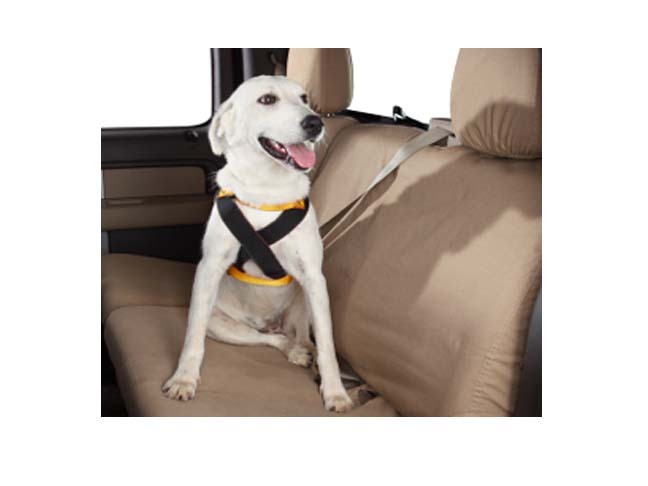 It’s adjustable tether attaches quickly to any center rear passenger seat belt. It is available in sizes from 6 to 150 pounds and is constructed from nylon thread material that even exceeds S.A.E. standards for human seat belts! New American Idol Judge Rumors Keep Flying!Red Carpet Photos: ‘Bachelorette’ Premieres In L.A.